Getting Started - What can the 'net' do for your business? New to e-Marketing or Tuning Your Strategy? Either way, biz360 can be your partner for getting more customers and better serving the ones you have from an eBusiness and eServices perspective. There are a wide range of options for any business, from a simple web presence to a full-on campaign that utilizes a broad range of tactics (FB, Twitter, SMS, email, blogging....). It is not however one size fits all. Using a home building analogy, think of biz360 as your architect. Maybe you need a room addition, maybe you want to build a ocean front cottage, maybe you want to build a McMansion. Likewise, think of us as your e-Architects. Working with you, we will develop a plan, probably with phases, leveraging the most important internet channels for your business. We will establish objectives that are measurable and we will measure them. OnLine Marketing CheckUp: We will collect some basic information about your business. For the next step, we will set-up a call with you to go into more detail. From there, we will do an free written assessment for you that will include ideas for moving forward and competitive information. Google Places: We love Google. This form collects information we need to set-up your basic Google Places. There is no-charge from Google for the basic service. There are add-ons, that can be purchased from Google such as Tags and Adwords, we should discuss whether these are right for you business. 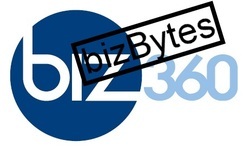 Contact Us: Please feel free to call 727.394.4508 or by email at info@biz360.biz.